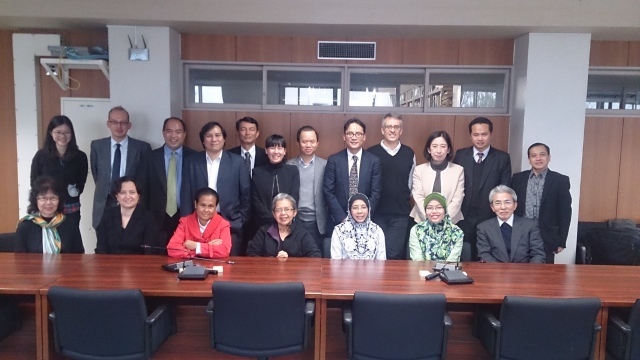 In cooperation with Kyushu University’s Faculty of Law, IRCI convened an international workshop on 19-20 December 2014 at the Hakozaki Campus. The workshop was programmed as part of the project titled “Study of Legal Systems Related to Intangible Cultural Heritage in the Greater Mekong Region”, and attended by thirteen researchers and government officials from Southeast Asian countries. Chaired by Professor Toshiyuki Kono (Kyushu University), participants engaged in the analysis and active discussions concerning the problems on the legal systems related to intangible cultural heritage.